A Bostonian wonders if climate change could expand the range of a dangerous mosquito-borne illness. I’m so glad you asked this question, because the answer involves a weird and fascinating twist. A few facts to get us started: In order for malaria to circulate in your community, two organisms must be present. The first is the germ that causes the disease. In the case of malaria, it’s the Plasmodium protozoan, a one-celled parasite. The protozoan can’t jump from person to person as readily as, for example, cold viruses, which launch themselves into the air in coughs and sneezes. Instead, Plasmodium relies on a second organism, known as a vector, to transport it from one host to the next. 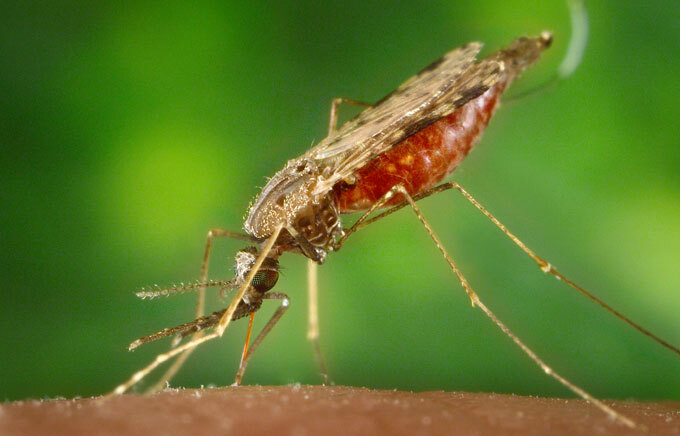 For malaria, the vector is an Anopheles mosquito, which spreads the protozoan from person to person when it bites them. Climate change could influence disease vectors in a number of ways. In warm weather, mosquitoes mature more quickly and they bite more often. With fewer killing frosts, more mosquitoes survive winter – a phenomenon that likely precipitated a 2012 epidemic of West Nile fever in Texas. Climate change could also cause the present-day range of mosquitoes to change. Places where cold temperatures once kept them at bay, such as mountaintops and northern latitudes, will become more hospitable to the blood-suckers. In theory, that could enable malaria to spread into areas where it’s not present today. And at the moment, there’s no widely available vaccine for the disease. Does that mean that malaria could one day pose a threat to people living in the continental U.S.? Here’s where the twist comes in: The mosquitoes that carry malaria already live here. Image credit: University of Florida. Look at this map. It shows the range of Anopheles quadrimaculatus, a mosquito species that can spread malaria. Two additional Anopheles species not shown here reside along the Pacific coast and in the Southwest. And it turns out that in the past, malaria was rampant in the United States. During the late 1700s, the disease so plagued the Southeast that German natural historian Johann David Schoepf wrote that “Carolina was in the spring a paradise, in the summer a hell, and in the autumn a hospital.” During the 19th century, malaria was a leading cause of death in the U.S.
Malaria was still a problem in the South by 1942, when the Office of Malaria Control in War Areas – the forerunner of the CDC – was established with the goal of controlling the disease around military bases in the region. At the time, malaria rates had been falling as nutrition and access to medical treatment – including anti-malarial drugs – improved. Upgrades in housing helped, too, because well-sealed homes with window screens reduced the number of mosquitoes biting people indoors. A World War II-era poster warned of the dangers of holes in window screens. 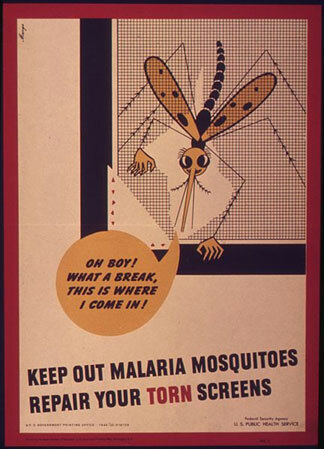 In the late 1940s, public health officials launched a final battle against malaria, improving drainage in order to remove mosquito breeding sites and mass spraying insecticides. 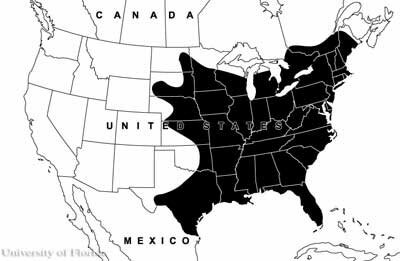 By the early 1950s, officials declared that they had eliminated malaria from the continental U.S. Anopheles mosquitoes continued to reside here, but now that the Plasmodium protozoan had vanished, a bite became nothing more than a nuisance. Today, about 1,500 people are still hospitalized with malaria infections each year in this country, with those cases dominated by travelers returning from places where malaria is still common. But so far, public health measures – access to healthcare, good nutrition, window screens, and mosquito control – have prevented the disease from returning to widespread circulation. In other words, if you live in the continental U.S. in a home with window screens, can go to the doctor when you need to, and haven’t traveled to a place where malaria is common, your odds of contracting the disease are relatively low, at least during the next few decades. A word of caution: In some places, our public health system is fraying. For example, Brownsville, Texas, a poor city with substandard housing and drainage problems, has recently experienced outbreaks of mosquito-borne illnesses. It’s a reminder that such diseases will remain absent from the continental U.S. only if we remain vigilant. For that reason, I advise channeling your worry toward actions that will diminish the risk of malaria both in the U.S. and abroad. – Talk to your doctor about your health concerns. Remember, I’m an advice columnist, not a medical professional. – To the extent you’re able, give time or money to groups that are improving access to affordable housing and healthcare. As I’ve explained, both are key to controlling malaria. – Contribute to organizations that are working to control malaria around the world. It’s a cliché to say we’re all in this together, but when it comes to public health, it’s actually true. By helping others to remain healthy, you’ll reduce human suffering and, in your own small way, lessen the odds of malaria ever re-establishing itself in the U.S.